Some food bloggers are claiming that 50% of the olive oil sold in the USA is rancid and that Americans actually prefer rancid oil. While our testing shows otherwise, all oils do eventually go rancid. 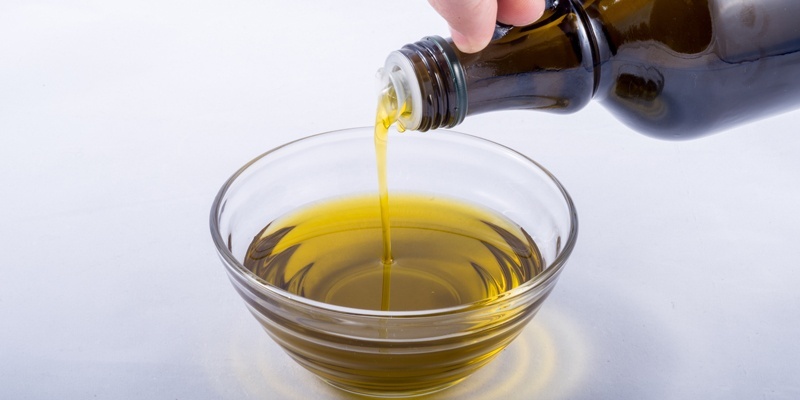 Learn how to avoid rancid olive oil and to detect rancid oils at home. Vegetable or plant based fats are all subject to oxidative rancidity. You may have had the misfortune of eating stale walnuts or eating whole wheat crackers that were opened too long ago. That is the flavor of rancid fat. Rancidity isn't necessarily a sign that there was anything wrong with the manufacturing process. The fats were probably just fine when the food was produced, but exposing unsaturated fats to heat, light and air will accelerate oxidative rancidity. Oils high in polyunsaturated fats such as corn or canola oil will go rancid faster than olive oil. Olive oil is mostly monounsaturated fat. Additionally, olive oil actually contains antioxidants and natural compounds that protect it from rancidity. Three tips to avoid rancid oil. Check the bottle for a best by date. Pick a bottle that has a date far out into the future. Some bottles also list a harvest date in addition to the best by date. Avoid bottles that are dusty or have been exposed to light. When you get the olive oil home, smell it. The best way to do this is to put the olive oil into a cup. Put your hand at the bottom to warm the oil and cover the top with your hands. Swish the oil around to let the aromas escape. Then inhale deeply. Extra virgin olive oil may have aromas of freshly cut grass, fruit, or herbs among others . Rancid oil smells like crayons, wet cardboard, sawdust or putty. Finally, taste the oil by taking a sip of the oil. You may detect other flavors like green apple, citrus, grass, artichokes or herbs. When you swallow the oil, you may likely feel a slight burning sensation in your mouth and throat. These are all positive qualities. After opening a bottle of olive oil, use it quickly (within a few months) and keep checking it for signs of rancidity. If you detect rancid oil just after opening the bottle, there may have been a problem with the way the oil was shipped or stored. Contact the customer service phone number on the olive oil bottle or the retailer where you purchased the oil for a refund or an exchange. Rancid oils are not harmful in small amounts but they don't taste very good so should be discarded or repurposed. Some food bloggers claim that Americans actually prefer the taste of rancid oil. (We find that hard to believe). If you feel unsure about what rancid oil tastes like, here is a simple way to teach yourself how to recognize rancidity. Pour some fresh olive oil into a cup and leave it out in your kitchen near the stove or windowsill (in other words, expose it to heat, light and air). Every day, sniff and taste the oil. You will eventually learn what rancid olive oil tastes like and how to avoid it in the future!